BR 30/4 C 17832200 https://www.kaercher.com/tn/professional/floor-scrubbers-scrubber-dryers/scrubber-driers/walk-behind-scrubber-driers/br-30-4-c-17832200.html The BR 30/4 C scrubber drier is light and compact – weighing only 11.5 kg, this highly innovative and powerful vacuum is ideal for cleaning hard surfaces from 20 to 200 m² as the perfect alternative to manual cleaning. Floors are immediately dry and non-slip after cleaning. Ideal for cleaning of smaller shops, restaurants, petrol stations, supermarkets, sanitary areas, hotels and snack areas or as a supplement to an existing scrubber drier. 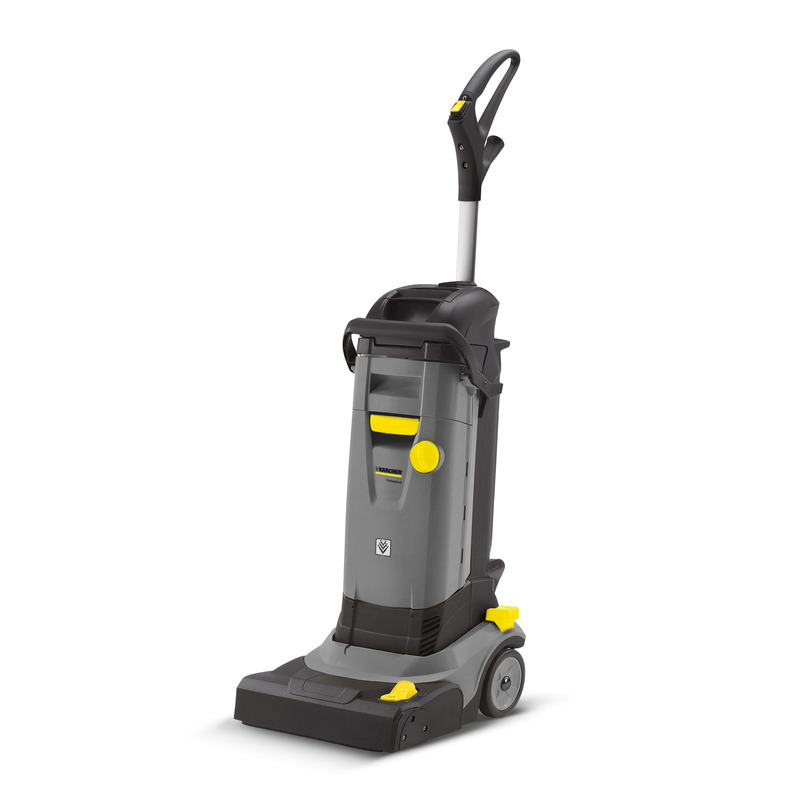 The BR 30/4 C scrubber drier is light and compact – weighing only 11.5 kg, this highly innovative and powerful vacuum is ideal for cleaning hard surfaces from 20 to 200 m² as the perfect alternative to manual cleaning. Floors are immediately dry and non-slip after cleaning. Ideal for cleaning of smaller shops, restaurants, petrol stations, supermarkets, sanitary areas, hotels and snack areas or as a supplement to an existing scrubber drier. This machine is as easy to manoeuvre as a vacuum brush. 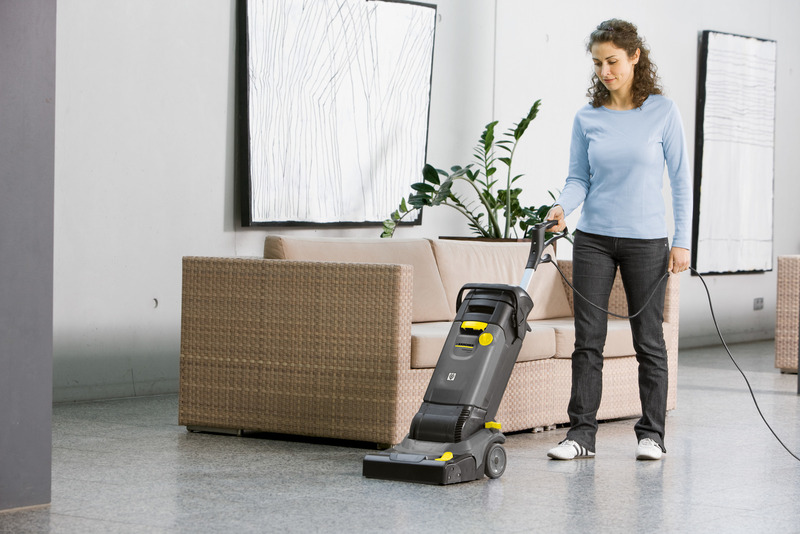 It exerts ten times more contact pressure than mopping by hand with far better cleaning performance. And this, at a roller speed of about 1,500 revolutions. The machine maintains suction while vacuuming forwards and backwards. The squeegees can also be raised for stubborn dirt. This ensures a longer contact time for the cleaning fleet.